Turning to my trusty church ladies cookbook, I discovered this lovely recipe called Crispy Biscuits. I only tweeked it just a tiny bit, by using my garlic bread seasoning in place of the paremsan cheese. Dressing up a package of jumbo or "grand" sized refrigerator biscuits, turns ordinary into extraordinary in just moments. 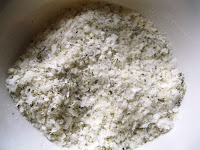 The key is the mashed potato flakes mixed in with the seasonings. 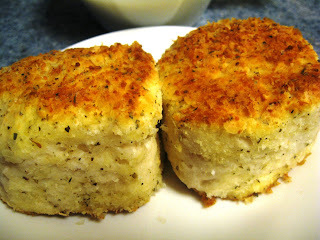 It keeps the topping nice and crispy, while the biscuit rises soft and fluffy! Preheat oven to 400 degrees. 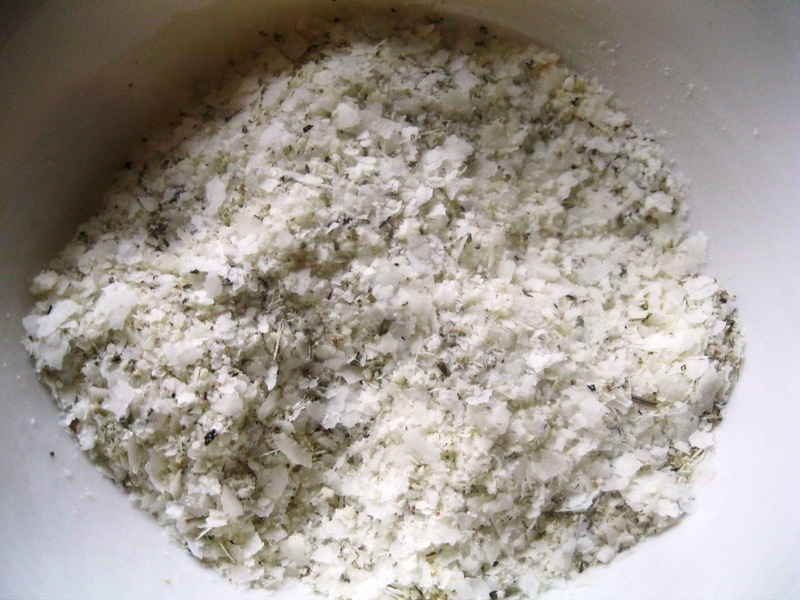 In small bowl mix together potato flakes, paremsan cheese, and seasonings. Set aside. In another small bowl melt butter in microwave. Open can of biscuits and separate biscuits. 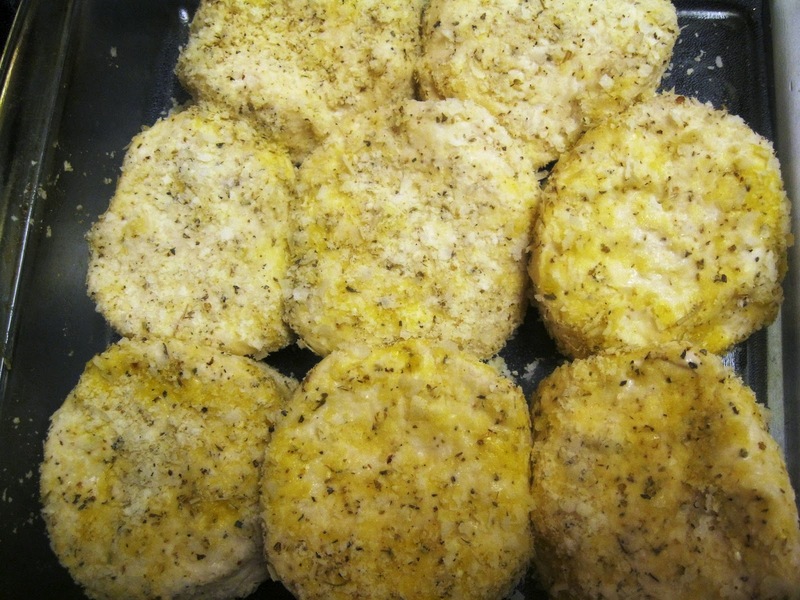 Dip each biscuit in melted butter on all sides and then dip into the cheese mixture, coating well. Bake for about 10 minutes or until golden brown . Hide one for your lunch tomorrow. Eat and enjoy! Ya know? I am wondering if you could cut the biscuits into quarters and toss the little nugget sizes into the butter and seasoning, baked together in a bundt pan monkey bread style? If any of you try it, let me know how it turns out!